Use Part 5 Automation Tool in the cloud, install it on your own server, or use it on your desktop for SMS management functions. You are just a click away from getting started with this Part 5 Automation Tool. Why Part 5 Automation Tool? Configure complex workflows quickly using "Part 5 Automation Tool." Templates allow you to save time managing policies, classification schemes and hazard identification. All the tools you need to demonstrate Part 5 compliance. Introduce your SMS program to your company quickly, thus saving considerable time and money. This "Automation Tool" is based on the popular, user-friendly aviation SMS database, SMS Pro. "SMS Pro is the most complete enterprise-grade Aviation Risk Management Software that delivers robust features to manage ICAO, FAA, Transport Canada and EASA SMS requirements." "Your staff (Doug and Roman) have been very helpful in making the transition to our new portal very smooth. Big thanks to you all for your help with this." 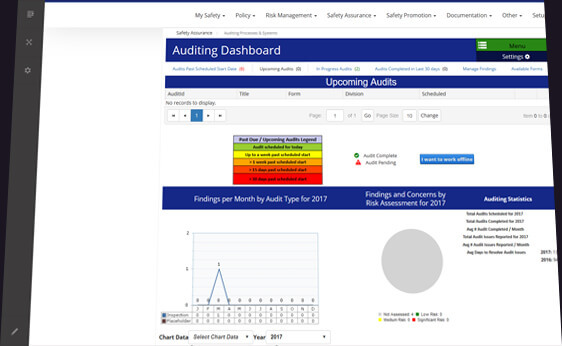 "They (civil aviation authority auditors) were impressed with the SMSPro safety portal, so I thought I would pass that on to you. They have not seen it before, but they have come across other software and their assessment was that SMSPro is superior to those other systems." "We are waiting for the "recommendation" to firm up before we announce it, but I thought you would like to know that they were (once again) very impressed with the interface and capabilities of SMSPro! Thank you for all that you guys do!" Whether you use IPhone, IPad, Android or Windows devices, you can be assured that your Part 5 Automation Tools will function as long as you have Internet connectivity. The "Confidential Reporting System" and "Auditing Systems and Processes" modules have both online and offline capabilities. 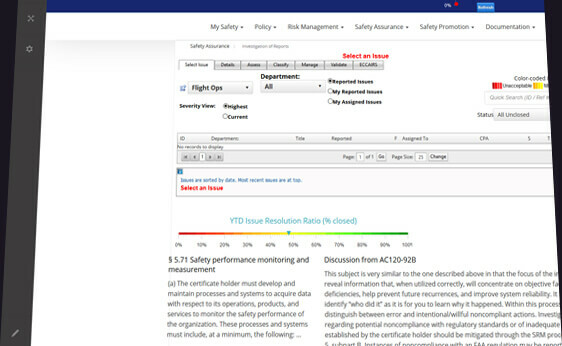 Reduce frustration with FAA inspectors by having tools to satisfy Part 5 requirements. Menu structure mirrors CFR 14 Part 5 regulations. Includes CFR 14 Part 5 references and guidance from FAA's Advisory Circular (AC) 120-92b. Anonymous and confidential reporting with multiple workflows suitable for ASAP and/or ASRS reporting. Offline and online reporting with configurable hazard reporting forms for various departments, including flight ops, maintenance, airport security, etc. Create audit forms, schedule audits, assign audit teams to conduct audits and manage findings within one integrated system. Online and offline auditing available. 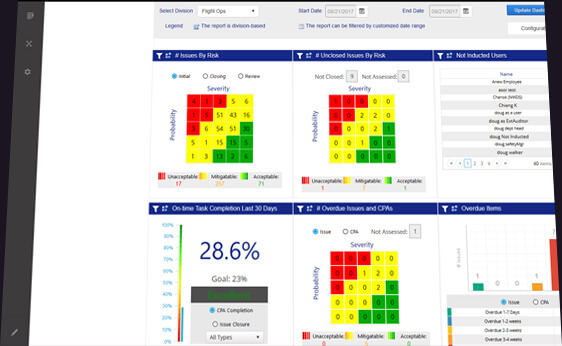 Interactive charts allow you to easily detect trends, monitor key performance indicators, create charts for management reports. Configure alerts to notify management of developing trends and overdue items. 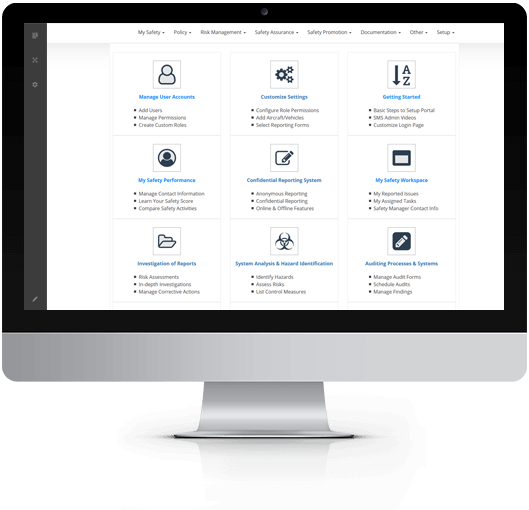 Get started with Part 5 Automation Tool today!